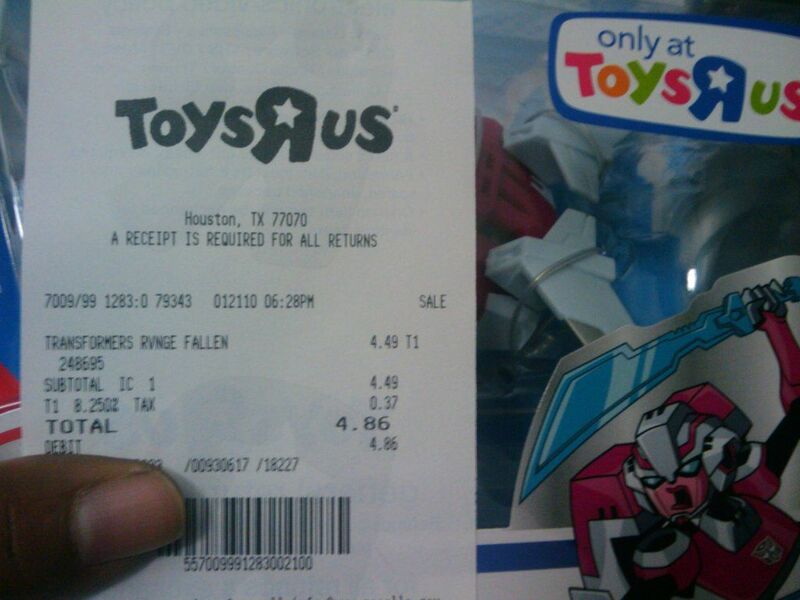 A member of 4Chan reports that he has sighted the exclusive Transformers Animated Arcee figure at a Toys ‘R Us store in Houston, TX. The item was not in the Toys ‘R Us computers yet, so the cashier mistakenly rang up the item at Legends-class price. 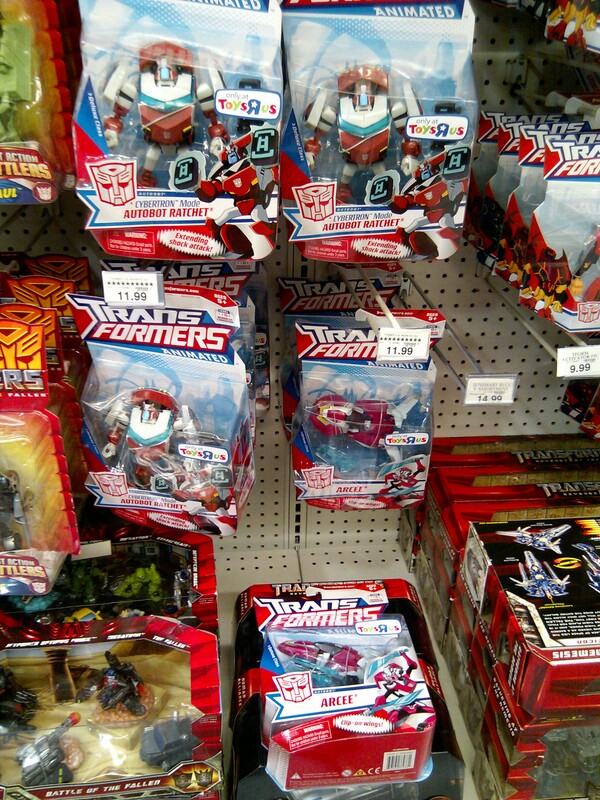 There is no confirmation if the Toys ‘R Us exclusive Autobot Ratchet Cybertron Mode figure was also sighted. Check out the picture proof by clicking on the thumbnail to the left. Update: panzerjedi of our 2005 Boards has sighted both at a Toys ‘R Us in California. See the updated thumbnail picture to the left for proof. Seems like they just haven't hit the east coast yet. The suspense is killing me! Still havent hit the Chicago region. Don't Lose hope my brotha! 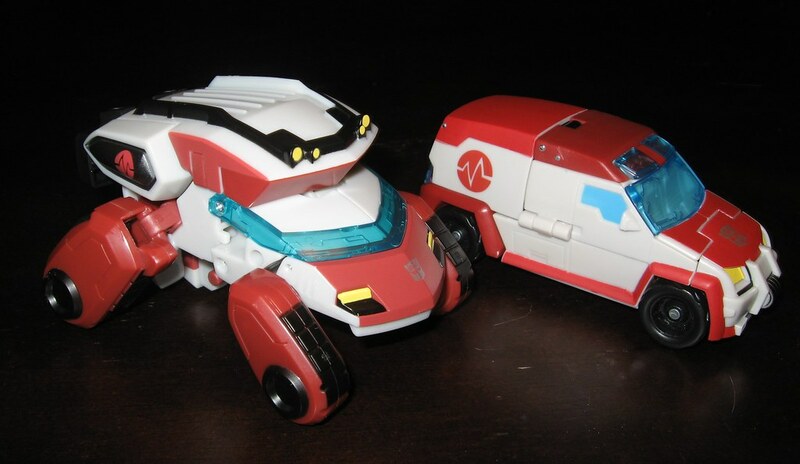 Just opened my Cybertron mode Ratchet. 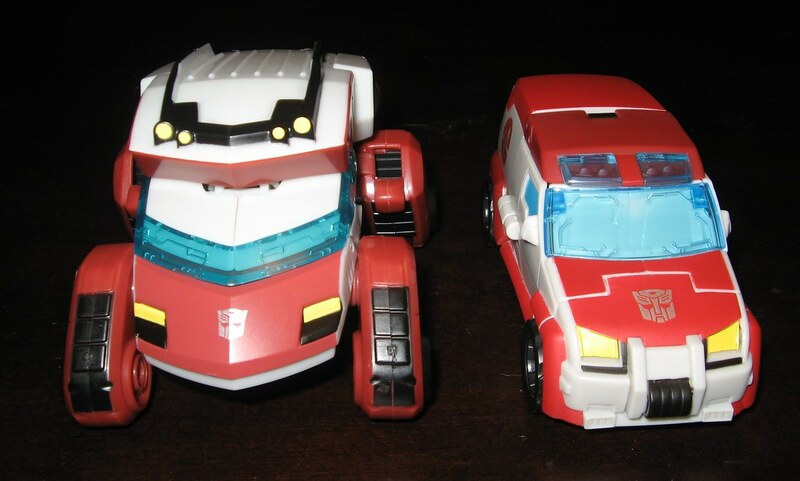 It is very well articulated.. vehicle mode is lacking a bit… but not too bad…. 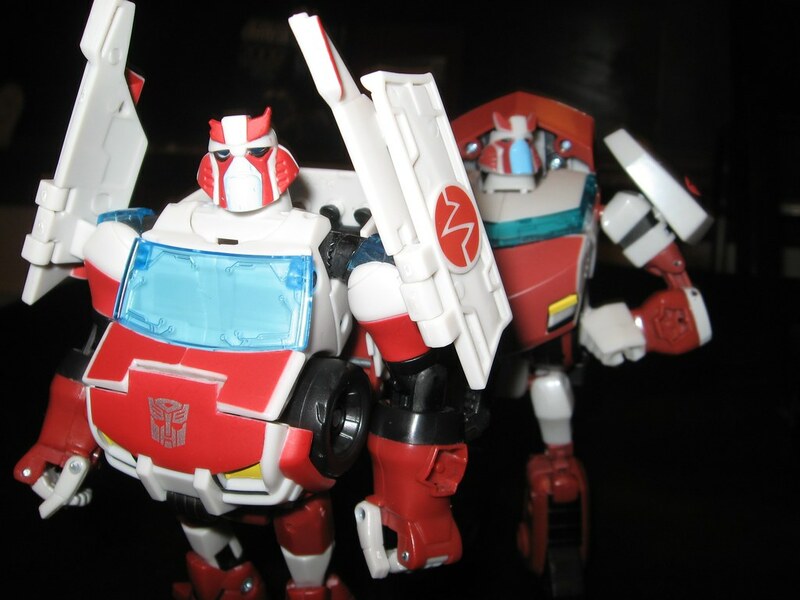 I imagined we should all write letters/emails to Hasbro to tell us we demand the rest of the Animated line figures NOW (Rodimus Minor, Blackout, Ironhide ..), do not delay for anymore months… These stuff are flying out shelf very fast… and I like the idea of keeping them Toysrus Exclusive… cut down alot of running around …. Not out here in Champaign. There were other Animated Deluxes though. Because of this I bought Ejector as compensation. Need to cure my plastic crack addiction! I didn't see either figure yet at my local store. Plenty of the last release Animated toys (Freeway Jazz and E-static Soundwave) and their exclusive packs. More reasons for me to hang out and TRU in the coming weeks. And knowing me, I'll still walk away with something even if they don't have either of the toys. Bah. I see nothing in Resources about that. Surprised at all the people who consider this to be the first "proper" Arcee. I guess Energon Arcee didn't count? These things will be out in Canada right?………..RIGHT? Does anyone want to help a dude out in Canada? I would be interested in one of each if possible, the likelihood of these showing up here are pretty slim. Delayed? When did we hear of this? Thats easy Money for Hasbro as a repaint. New Head Molds cost next to nothing according to Hasbro.